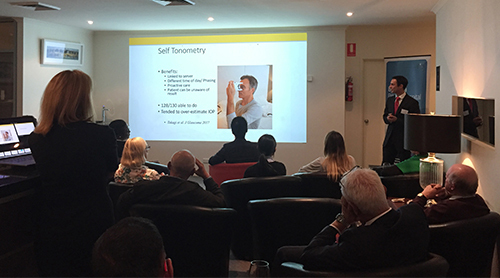 On 1st May, Peninsula Eye Centre proudly hosted the “Clinical Update 2018” event for our local optometrists. 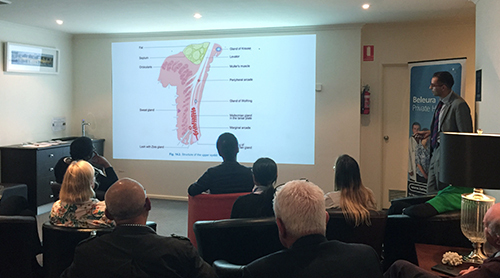 Dr Simran Mangat presented on the topic of “Assessing a patient with Ptosis and my preferred approach” and Dr Justin Sherwin followed with an evidence-based update on “What’s new in Glaucoma?”. 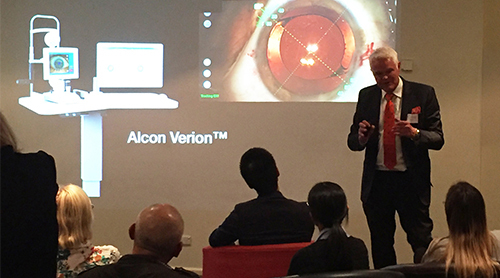 The evening continued with Dr Rick Wolfe speaking on the topic of “Vision: Quantity and Quality’. Each of the presentations attracted interesting questions and discussions. 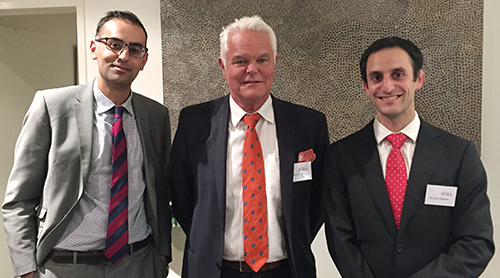 The CPD accredited event provided optometrists with up-to-date clinical information. Thank you to our presenting doctors and guest optometrists for participating in these valuable and important discussions. This entry was posted	on Thursday, May 3rd, 2018 at 2:53 pm	and is filed under In the News. You can follow any responses to this entry through the RSS 2.0 feed. Both comments and pings are currently closed.